Photo of student doing school work alongside photo of MHS football player. High school basketball, soccer, football, and volleyball players all have one thing in common: they are students before they are athletes. This idea is something that continues to rattle through many student-athletes as they face the ultimate hardship of balancing the two major parts of their lives. Being a student-athlete myself, I can say that the benefits gained from participating in sports certainly do come at a price. Sleepless nights, rummaging for food whenever you find the time, and aching from sore muscles are conditions that were prevalent in my life during the season. When the intensive pressure of both worlds collide, it made playing the sport not worth it at times. On top of that, there comes the pressure of needing to conquer everything. “Balancing school and sports is pretty hard because your teachers expect you to focus on the school work that they give you the night before, but your coach also expects you to work hard doing what they want you to do,” says junior Olivia Ostler. 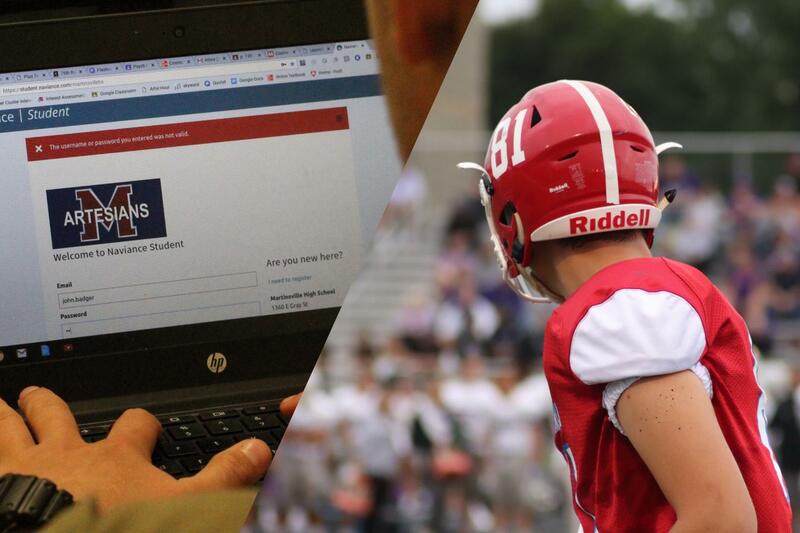 High school athletes not only deal with transgressed pressure from trying to keep up with the two different types of work but also deal with pressure from others in school. “There’s a lot of eyes on you and lots of people know who you are, so you can’t really make mistakes because it gives the school a bad image,” says senior Preslee Boyd. I’m not trying to get a rally together to put an end to sports in high school, but having the title of ‘student-athlete’ comes with a lot of responsibility and exertion. On a more positive note, having to organize your life to be efficient leads to the development of a young adult. “It’s also beneficial because I feel like I work harder and I feel more accomplished when I’m doing two things at once… also being in a sport pushed me to work hard and makes me want to work harder,” said Ostler. The activity you chose to pursue might be something that gives a sense of anguish but in return contains valuable components needed in order to be prepared for life. “I learn leadership skills, being a senior and a captain, so I have to lead effectively and learn how to communicate with the people on my team,” says Boyd. Sports mixed with your school life, and other components you deal with, might give you a migraine. Although, at the end of the day, you can retain crucial knowledge that you’re not just going to use throughout high school, but throughout life. In other words, temporary frustration can lead to a good foundation.